NORTHBROOK, IL: Antifreeze manufacturer and auto parts and chemicals marketer Old World Industries has selected Ketchum as its PR AOR. 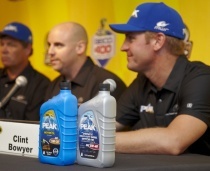 The company, which sells consumer and commercial brands such as Peak, Herculiner, and Final Charge, chose Ketchum based on recommendations, as well as the agency's expertise in motor sports and the automotive industry, said Bryan Emrich, SVP of marketing for Old World. Using a combination of media outreach and PR events, Ketchum will help the company with strategic positioning to raise awareness of its brands, particularly the Peak portfolio and motor oil business, he added. While Old World has worked with PR agencies in the past, none have ever been assigned the same scope of work and responsibilities as Ketchum, Emrich said. In addition to increasing brand recognition, Ketchum will work with Old World on introducing more consumers to its diesel exhaust fluids, which are “more fuel efficient” and eliminate nitrogen oxide emissions. “Letting people know about the benefits and what's so important about developing those quality functional fluids, which we're experts at, is another area where I'm having Ketchum help me,” said Emrich. Ketchum will handle the account out of its Chicago office with support from Ketchum Sports & Entertainment. It will also work with Old World to raise awareness of its investments in motor sports, such as NASCAR, NHRA Drag Racing, and off-road truck racing. "These are all motor sport assets we've developed based on who we're trying to reach, but having them and having people know we have them are clearly two different things,” Emrich said. Old World also wants Ketchum to help it “figure out what's the right way to brand” and “drive the message” of the company. Emrich wants Ketchum to work “in unison” with Old World's other partners, which include advertising and media firm Borders Perrin Norrander and social and interactive agency Armory Marketing. “The key to our success is tight integration with our agency partners combined with incredible brands and products,” said Michael Finn, VP and group manager at Ketchum. "We have a recipe here for a real win for the business."